Abraham has always been the “Father of Faith”. It is true that he was the father of all Jews. More importantly, he is our “spiritual father” because Abraham was the first in all scripture to walk in obedient faith to the revealed word of God. 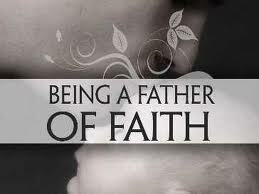 So we look to him as a fatherly example of what it means to walk with God. From Abraham’s life we learn faith doesn’t happen by accident. One dark night outside a small town a fire started inside the local chemical plant. Before long it exploded into flames and an alarm went out to fire departments from miles around. After fighting the fire for over an hour, the chemical company president approached the fire chief and said, “All of our secret formulas are in the vault in the center of the plant. They must be saved! I will give $50,000 to the engine company that brings them out safely!” As soon as the chief heard this, he ordered the firemen to strengthen their attack on the blaze. After two more hours of attacking the fire, the president of the company offered $100,000 to the engine company that could bring out the company’s secret files. Like Abraham, we do not accidentally answer God’s call. 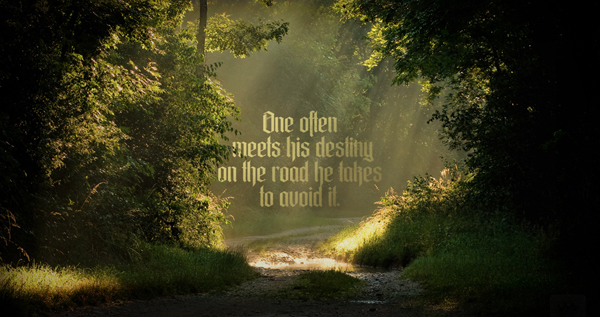 It requires intentional obedience and steadfast courage. We live today in a very privileged position. Two millenia of believers have gone before us to help point the way. Do you think any of these men and women were perfect in their walk of faith? No, in fact, some of their missteps are well documented. The fact is they remained in faith. The same is true of us contemporary Christians. We will never live a perfect life of faith, but we can learn from those who went before us and possibly avoid their mistakes. Although Abraham is considered the hero of faith, he is in no way without his flaws. This struggle to trust God is not isolated to the life of Abraham. Every true believer faces conflicts and trials that test our ability to trust God. Unless you stick your head in the ground and avoid trusting and believing God for both spiritual and physical things, you are going to have to walk in faith. I would rather strive to believe God for things in my life and miss occasionally, rather than go through life never believing God for anything. Without faith, life is dull, boring, and uneventful. We need men and women of faith who have walked through fire and come through like hardened steel. These are the ones who will help to father this generation.